If there’s one thing that Dallas knows how to do, it’s the holidays! Before Halloween had even ended, people were already decorating for Christmas. They say everything’s bigger in Texas, which you can see in the amount of light decorations and special holiday displays for us all to enjoy! So where to go to experience them? The world’s largest Christmas light maze is coming back to Globe Life in Arlington! This massive winter wonderland brings DFW an outdoor ice skating rink, thousands of lights, the “North Pole” with Mr. and Mrs. Claus, seasonal food and drinks like hot cocoa to warm you up, a Christmas market to peruse and live holiday entertainment! This event is great for the whole family, but also the perfect occasion for a romantic evening with your significant other as this is geared towards people of all ages! Send a letter to the North Pole, take a train ride around the park, visit the nativity animals, make slime with the Grinch or learn to become one of Santa’s Helpers. Geared towards children, the activities are endless at the Hilton Anatole’s Peppermint Park. It’s free for guests of the hotel or else $20 for children 3-17 years of age. Under 3 and it’s free! This 31-year tradition takes place at NorthPark Center and benefits the Ronald McDonald House of Dallas. Over the years, more than $13 million has been raised and the train collection is back on display again for us to enjoy! Tickets are only $7 for adults and $4 for children. The Arboretum is beautiful any time of year, but especially at Christmas when its 12 Victorian gazebos decorated with music and mechanical figurines moving around. They are scattered throughout the arboretum so you can wander and enjoy the flora and fauna while viewing the displays. The 12 Days of Christmas is free with admission. Every year, thousands of Dallasites “ooo” and “awe” over fabulous light decorations that fill the big homes of Highland Park, via horse carriage. Whether you’re looking for a romantic evening or one filled with friends and family, these horse carriages come in all shapes and sizes to accommodate. There are also multiple carriage companies to choose from…some of the ones we recommend include Highland Park Carriage Tours, Threejays Carriages, and Brazos Carriage. After the lights go down and the animals head in for the night, guests are invited back into the park to see ZooNorth transformed into a winter wonderland with a million sparkling lights! This one is geared towards children, with a Santa meet & greet, a sugar shack with Rudolph, multiple photo ops, ornament making, animal encounters, s’mores and hot chocolate, musical performances and more! Tickets sold separately from daytime admission, but includes daytime admission. The 5th Annual Texas Motor Speedway transforms into a massive drive-through light park over the holidays. We’ve heard the display is magnificent and there’s a Santa village too for visiting and photo ops! Tickets start at $30 depending on your size of car. Another drive-through light park, except this one is located in Grand Prairie at Lynn Creek Park with 4 million lights. 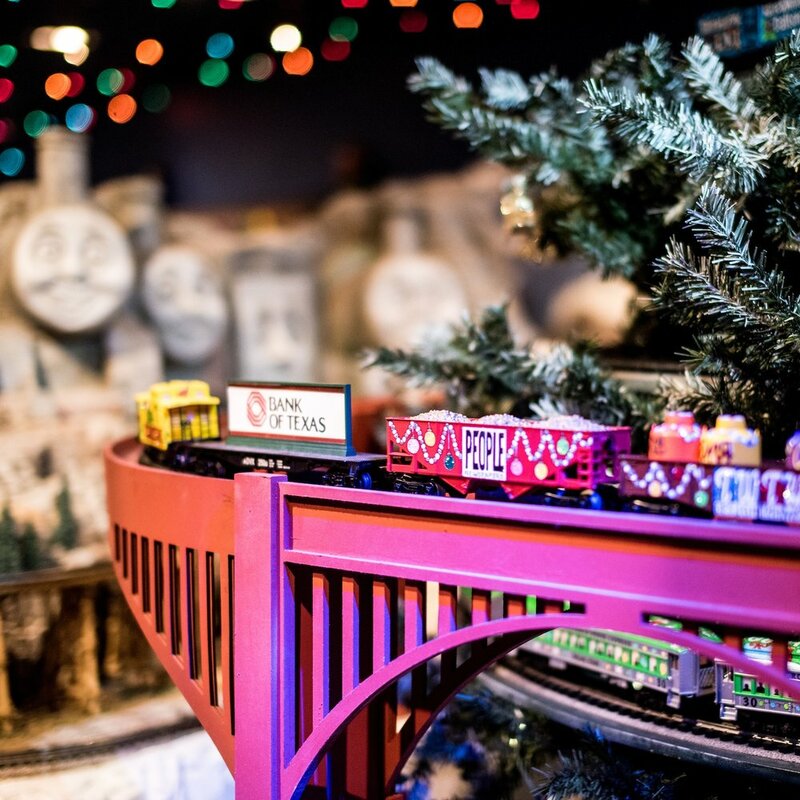 Additionally, you can experience an indoor holiday show, carnival rides, a walk-through light forest, photos with Santa, food and drinks and a gift shop!